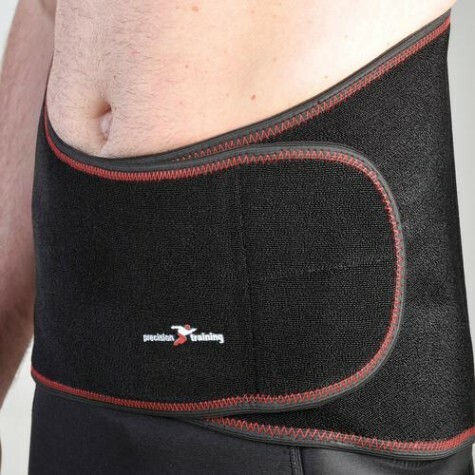 New Precision Training Neoprene Back Support With Stays Waist Belt Pain Relief. For minor aches and pains around the central back,including sciatica and lumbago. Ideal for those with occupations which involve heavy lifting and carrying. Material 65% neoprene, 17% fibreglass(stays), 10% nylon, 5% polyester, 3% latex.